Timber Wolf Running Wolf Fixed Blade Knife With Sheath - 3Cr13 Stainless Steel Blade, Polyresin Handle, Stainless Steel Pommel - Length 11” | BUDK.com - Knives & Swords At The Lowest Prices! 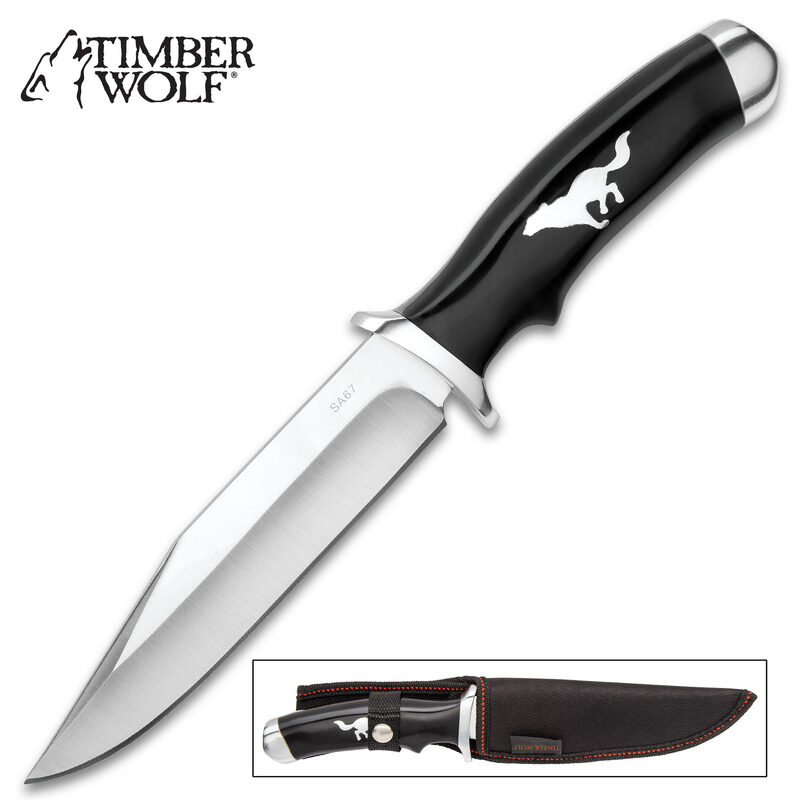 As sleek and streamlined looking as a wolf streaking through the woods under a full moon, the Timber Wolf Running Wolf Fixed Blade Knife makes a handsome addition to a wolf-themed knife collection. 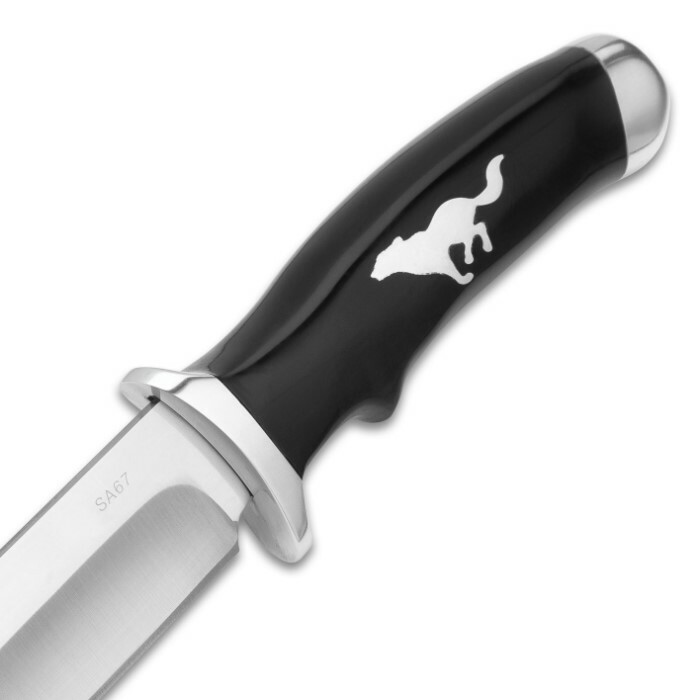 It has a full-tang, razor-sharp, 6” 3Cr13 stainless steel clip point blade with a mirror polish finish and a stainless steel guard. 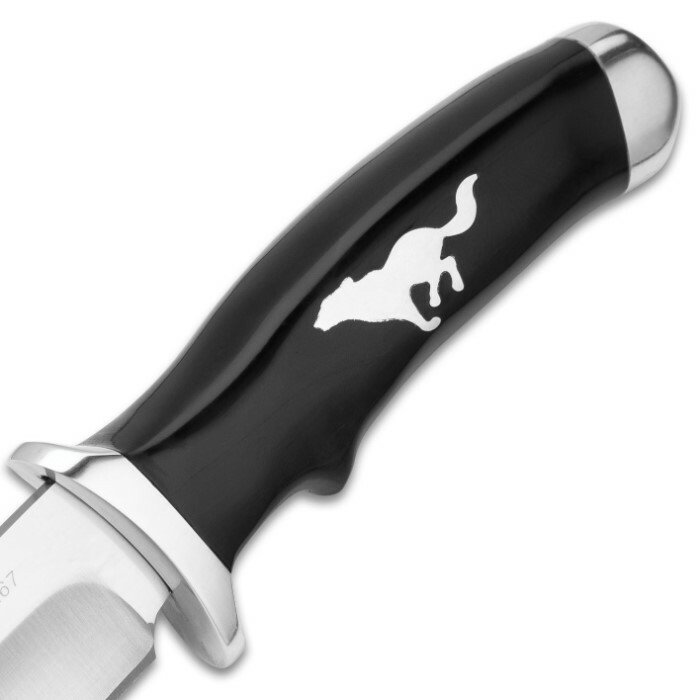 It has a black polyresin handle, which features an inlaid stainless steel running wolf medallion and a stainless steel pommel. 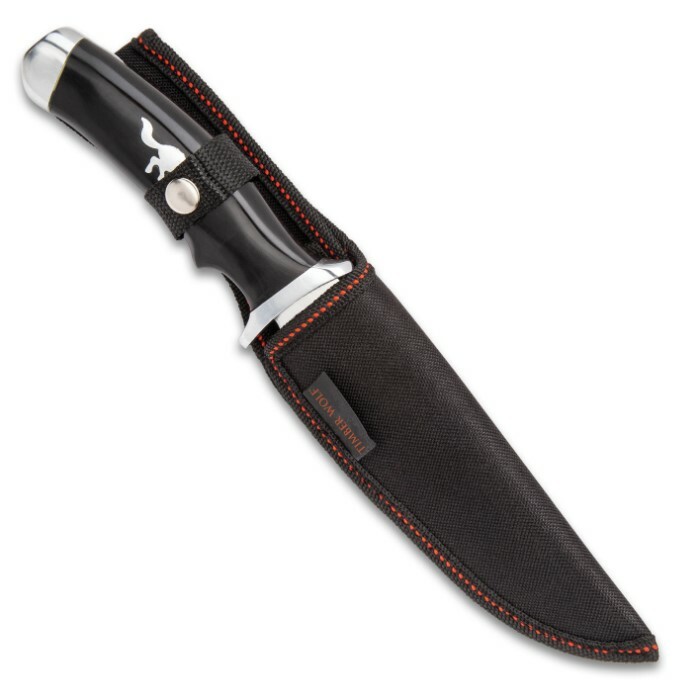 The 11” overall length fixed blade knife slides securely into a tough nylon belt sheath for storage and ease of carry. Bought this for a friend. Came somewhat sharp but easy to sharpen. Beautiful simple knife with good balance. It fits well in the hand. Not a big fan of the canvas sheath but I didn't buy it for that.